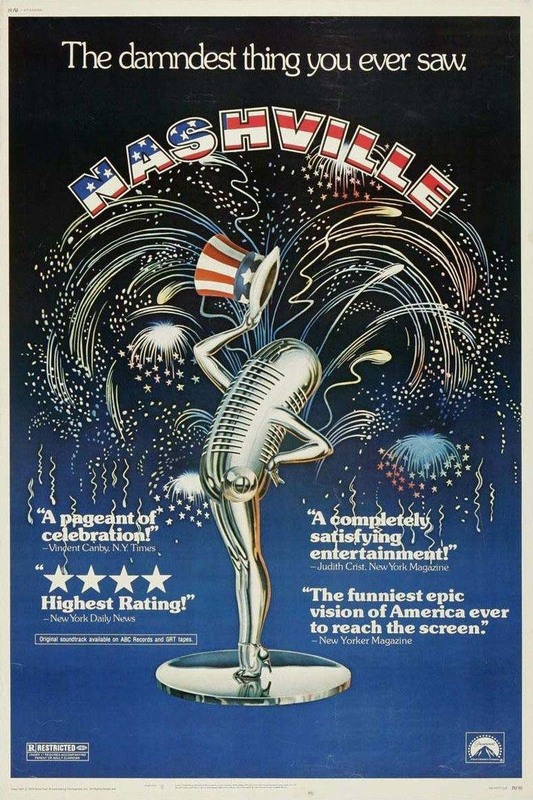 Nashville is the 1975 American musical drama that is directed by Robert Altman and tells the story of 24 interlinked main characters over the course of a few busy days as they all prepare for a political convention whilst secrets and lies bubble to the surface. The film takes a look at the various people involved in country and gospel music businesses in Nashville, Tennessee, with the characters efforts to hold on to their success levels being interwoven with a local businessman and political face. Upon its release Nashville received critical acclaim and went on to win an Oscar for Best Original Song, ‘I’m Easy’, as well as a host of other awards. In 1992, almost twenty years after its release, Nashville was selected for preservation in the United States Film Registry by the Library of Congress as it is considered ‘culturally, historically, or aesthetically significant’. Now almost 40 years after the film’s 1975 release it has been restored to high-definition and is being re-released on DVD and Blu-Ray as part of The Masters of Cinema Series. As well as the classic and timeless film this two-disc special edition DVD and Blu-Ray comes with some impressive bonus features, including a commentary and two interviews with director Robert Altman and interviews with the cast. Nashville (Masters of Cinema) will be released on DVD and Blu-Ray on 16 June 2014, be sure to check it out!